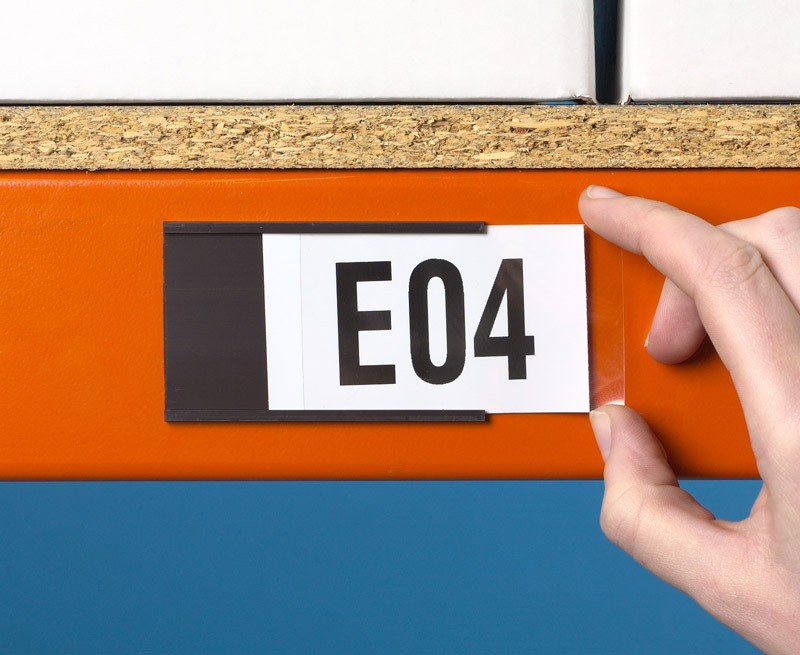 These pre-cut label holders can be used throughout the workplace to quickly and easily identify stock locations. The magnetic backing material adheres securely to metallic surfaces whilst the front label protector ensures the labels stay in place and are kept clean. Choose this style of label holder for applications where regular changes take place. Longer cut lengths than those shown and rolls up to 50 metres long are also available - please call for prices.